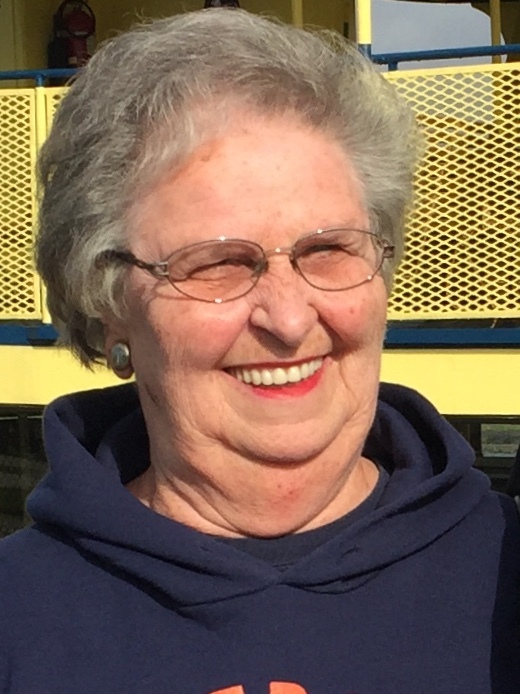 Joan Marie Edmonds, 71, of Posen passed away Friday, January 18, 2019 at her home surrounded by her family. Joan Marie Himes was born in Alpena County on March 28, 1947 to the late Stanley and Kathleen (McRae) Himes. On August 21, 1965 she married Bruce Edmonds. She enjoyed fishing, playing cards and baking. Surviving are her husband, Bruce, 3 children; Amy (Larry Thomas) Cramer, Bonnie (Dan Fransee) Kihn, Darwin (Lynn) Edmonds; 4 grandchildren, Aaron (Jessa) Kihn, Blaise Kihn, Anthony (Katelyn) Cramer, Cathleen Cramer; 2 great grandchildren, Gemma, Wyatt; 4 siblings, Shirley (Charlie) Vogt, Barbara Cordes, Duane (Audrey) Himes, Kathy (Wayne) Kruczynski; sister-in-law, Donna Himes. Mrs. Edmonds was preceded in death by granddaughter, Sarah Cramer; 3 siblings, Billie Lee, Janet Sue and Dale Himes. Visitation will take place at the Bannan Funeral Home on Tuesday from 2-8 p.m. and where funeral service will take place on Wednesday at 11 a.m. with The Very Reverend William J. McClure, Jr. officiating.